I realise I have already had one picture by Vincent van Gogh. This one is variously titled 'Vincent's chair with his pipe'. He is somehow the epitome of the tortured genius, his work often seems to be understood in the light of his mental health problems. I like the way his work is mostly of ordinary people and everyday things. 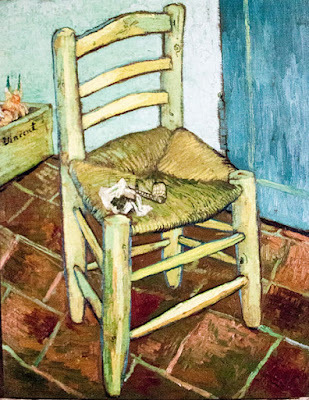 The very mundanity of the image of his pipe on a chair feels like an intimate insight into his life.